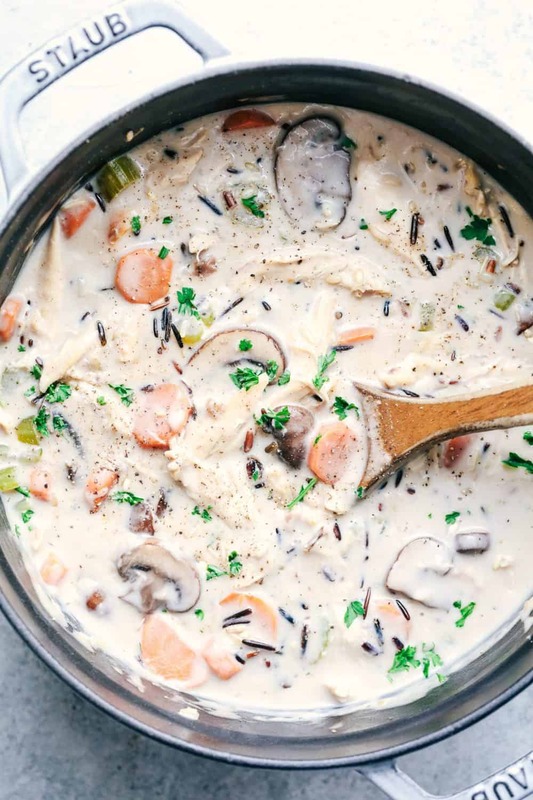 Creamy Turkey Wild Rice Soup is a creamy and delicious hearty soup filled with wild rice, veggies, and perfect for using up leftover turkey! Fall is officially here and winter is quickly approaching. I am not looking forward to the winter months and snow, but I am looking forward to one thing. Soup season. I could eat soup all year long, but there is nothing better than a warm bowl of comforting soup in the colder months. 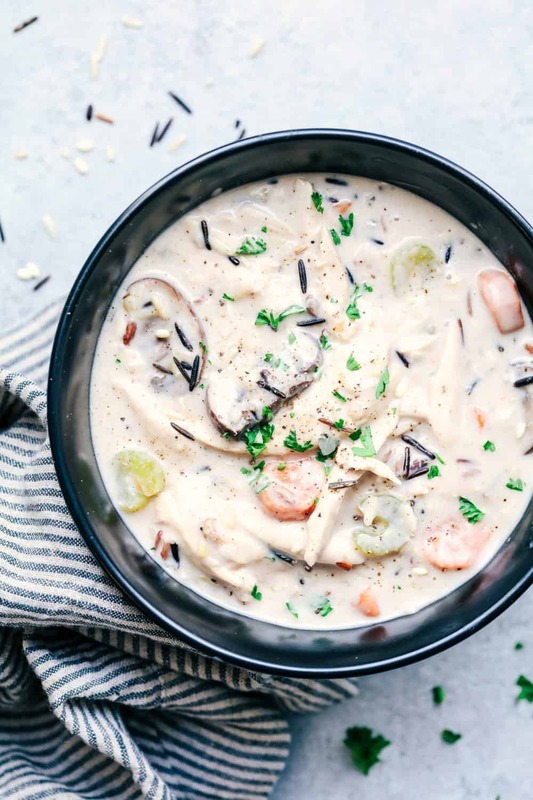 I love a good hearty soup and this creamy soup will become a new family favorite. 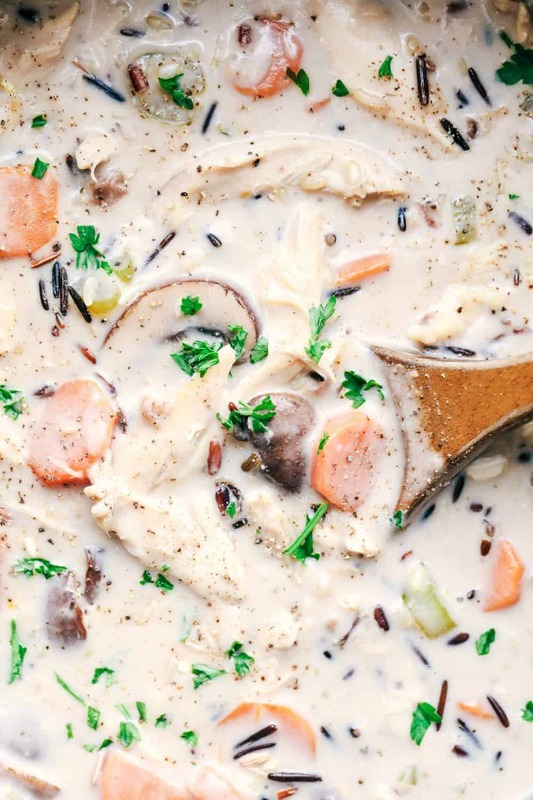 This soup is perfect for using up that leftover turkey from the holidays. And it has a secret ingredient that makes this soup rich, and full of delicious turkey flavor. 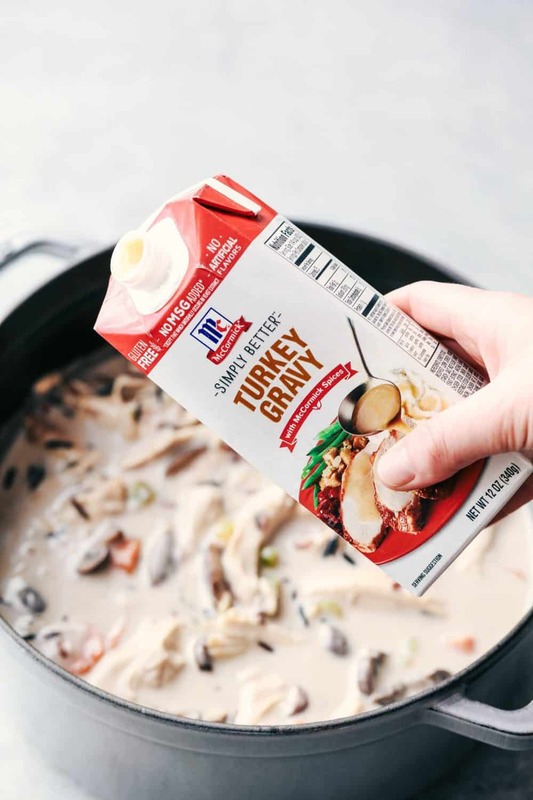 McCormick’s Simply Better Turkey Gravy. I have loved using these ready to serve gravy mixes in my recipes lately. They add quality flavor and the spices are already packed inside. It is so easy to just pour the gravy into the soup. The result was a thick and creamy soup that my family couldn’t get enough of. 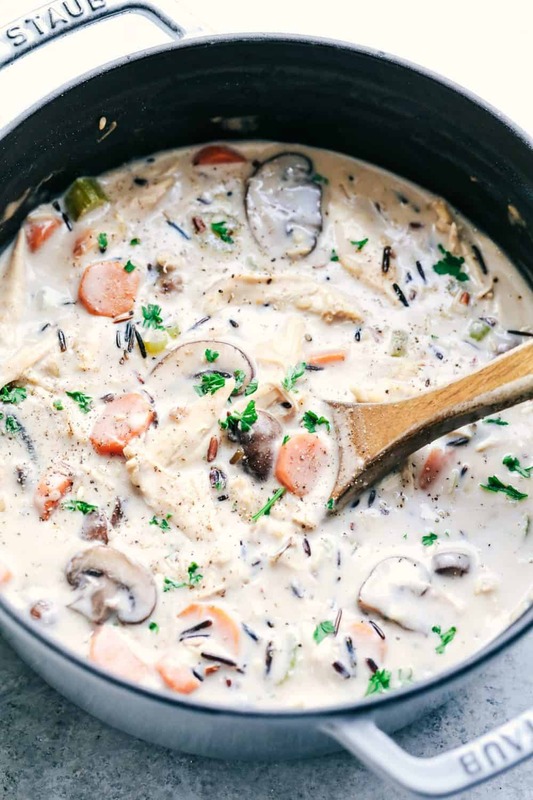 Start by sautéing the mushrooms, celery, carrots, and onion in a large stock pot. Add in the flour, followed by chicken broth. Add the quick cooking wild rice and let simmer until tender. Add in the turkey gravy, half and half, and the left over turkey. Cook until heated through. This soup is simple to make and ready to serve in about 30 minutes. You are going to love the creaminess of the soup. It is thick and rich and the ready to use turkey gravy is the perfect addition. It makes it simple to just add to the soup and add such incredible flavor. No extra spices are needed. The flavor is packed inside of this ready to use turkey gravy. This is such a classic soup and one of my favorites. We served it with a crusty baguette and a fresh romaine salad. The entire family devoured it. It was the perfect soup for a chilly day and the flavor is incredible. Your family is going to love it just as much as we did! This soup is an easy comforting classic! In a large stock pot over medium high heat, add olive oil, mushrooms, carrots, celery and onion. Cook about 5 minutes until tender. Add the flour and cook for 1-2 minutes more. Add the broth and bring to a boil. Add in the wild rice and reduce to a simmer and cook the rice until tender. Add the turkey gravy, half and half, and turkey and cook until heated through. Add salt and pepper to taste and garnish with freshly chopped parsley. I keep making the stupid mistake of reading your emails before lunch. My stomach is growling even louder now! This looks delicious, and I’m printing it out to make on Sunday. Thank you! This was wonderful as are all of the others recipes I’ve tried. Thank you so much for the recipes! The Creamy Wild~Rice Soup was absolutely DELISH!! !